Today is my father’s birthday. He died age 55. Not a good age to die. But my mum has been an invalid since her late 40’s. Without his pension I don’t know what we would have done. But who has such a pension today? Much of the discussion about health is about living longer. But what about our life? What is our life like as we live into our 60’s and 70’s? Here are the stats for men on Prince Edward Island. 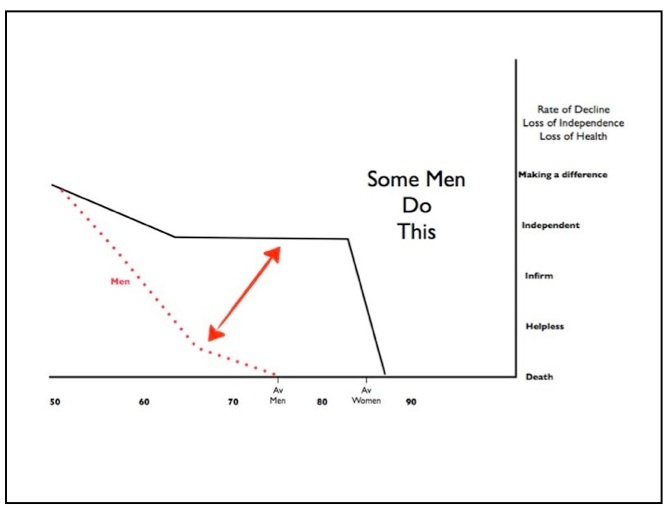 The average man is disabled by chronic illness by the age of 65. He cannot work. He cannot contribute. He has to be looked after. 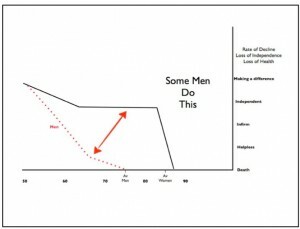 And for women, add 5 years and the results are the same. On average we live for another 10 years like this. 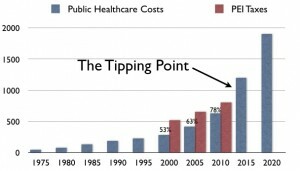 THIS is where the costs are found. PEI is not unique. This long period of disability is what all of us can expect in this epidemic of chronic illness that is our new normal. And when we are disabled, who is going to look after us? Will we burden our kids? And by the way, what Kids? With low birth rates, there are not many of them. And where do our kids live? Near us? So maybe then the state? But when we look at their costs, we know that they cannot help us either. There will simply not be the tax payers or the tax dollars to pay to look after us. This is why I am millions of people are starting to take charge of our own health. Suffering from chronic illness is not inevitable if we make the changes that are discussed in detail in this blog.